HTML5 is the greatest leap of Web standards over the past decade. It is a core technology markup language of the Internet used for structuring and presenting content for the World Wide Web. More and more browses support HTML5 including Firefox, IE9, Chrome, Safari, Opera, etc. You will no longer complain to install another Flash plug-ins while you are watching videos or playing games. And you can also experience faster surfing speed. Obviously, you can upload suitable video format on the HTML5 browser easily. But you may encounter problems when you add iTunes videos to the HTML5 browser. That's because movies or TV shows you purchased from iTunes Store are M4V format with DRM protection, which can only be allowed to play on Apple relevant systems. If you want to add iTunes videos for HTML5 browsers, DRM protection needed to be removed first. 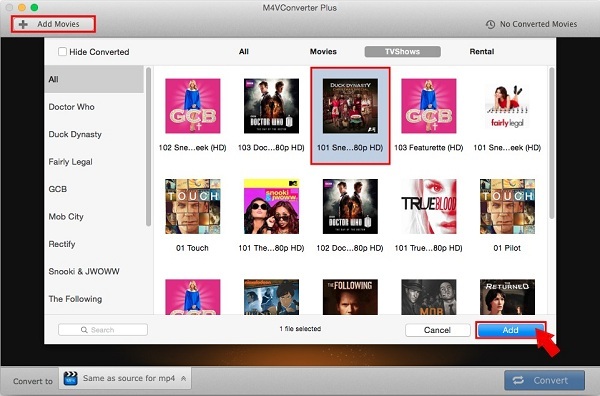 As a professional iTunes DRM removal software, M4V Converter Plus can get rid of the DRM protection from iTunes movie Purchases, Rentals and TV shows from iTunes Store. So you can play iTunes videos without the limitation of Apple device and Apple ID. 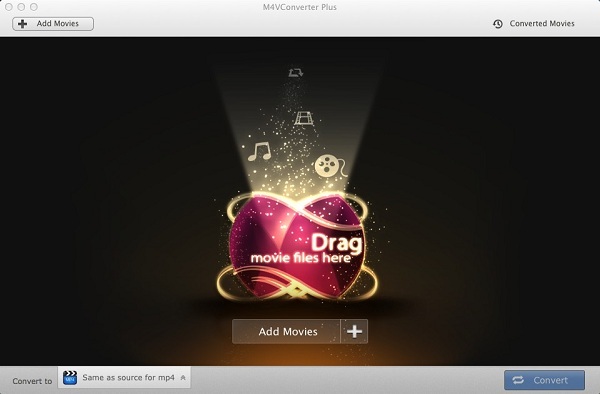 What's more, M4V Converter Plus supports converting iTunes DRM M4V videos to the HTML5 MP4 video format absolutely. In this way, you can add iTunes videos to HTML5 browsers easily. Click Add Movies button and choose iTunes videos listed in the pop-up window, then click Add to load the videos you need to convert. Step 3. Choose the HTML5 MP4 Video format as the output. Click Convert to drop-down list and choose HTML5 MP4 Video from Web Video option as the output format. Click Convert button to start iTunes videos to HTML5 MP4 conversion. After the conversion, you can add the converted iTunes videos for HTML5 browser at will.